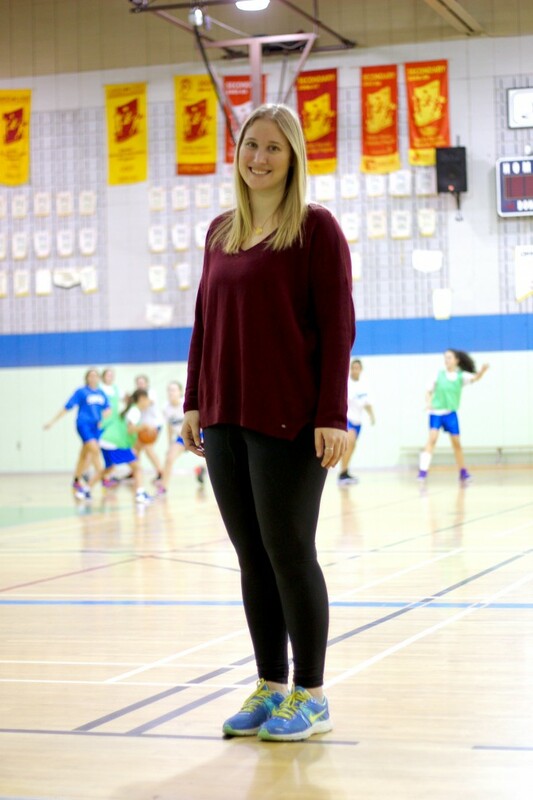 “I’m passionate about working with kids in any format. I was a camp counselor and now I’m an Assistant Director at CBB, after going to camp for the past 18 years. This is also my fourth year as the Athletic Director of Sacred Heart, so I’m responsible for all extra-curricular activities for sports and I coach a minimum of three teams. I’m heavily involved in the athletics program, but I also teach phys. ed., math, and leadership. An important part of being a teacher is being a lifelong learner. In addition to everything that I’m doing, I’m also doing my Master’s Degree in Education. People ask me why I do it, and I don’t really have an answer; I just think that if I can, why not? I try to take any opportunity that will allow me to be a better teacher, a better leader, a better counselor.